NOA moves to curb illegal felling of economic trees in Kwara – Royal Times of Nigeria. 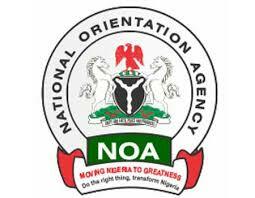 The National Orientation Agency (NOA) has said that the Agency is collaborating with the Kwara state Government, Non Governmental Organisations and traditional rulers to check illegal felling of economic trees in the state. The Kwara Director of NOA, Mr Segun Adeyemi who disclosed this while speaking with newsmen said it is imperative to check the incidence of indiscriminate felling of economic trees which could create employment and increase revenue base of the state. According to him, several economic trees like locust bean, shear butter, mangoes, oranges and lemon, among others, are being felled and converted to charcoal in several parts of the state. He described the action as illegal, and one retarding the state’s economic prosperity and creating unemployment for the teeming women in rural communities.